A young couple, Félicie and Charles, meet while on holiday and fall deeply in love. In a fatal slip, she gives him the wrong address, and, as a result, he disappears from her life. Five years later, at Christmas time, Félicie is a hairdresser in the Paris suburbs with a daughter and two lovers: the successful Max and the intellectual Loïc. She loves them both, but as she says, "There's love and love," and the love that counts is the one she still holds for the long-lost Charles. 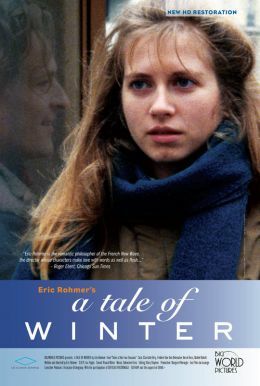 The plot centers on Félicie's shifting allegiances to the three men in her life, with an abortive move to another city, a strange experience in the cathedral at Nevers, and a performance of Shakespeare's The Winter's Tale among the stations on a roundabout journey that finally brings her face to face with the most basic issues of destiny and faith.